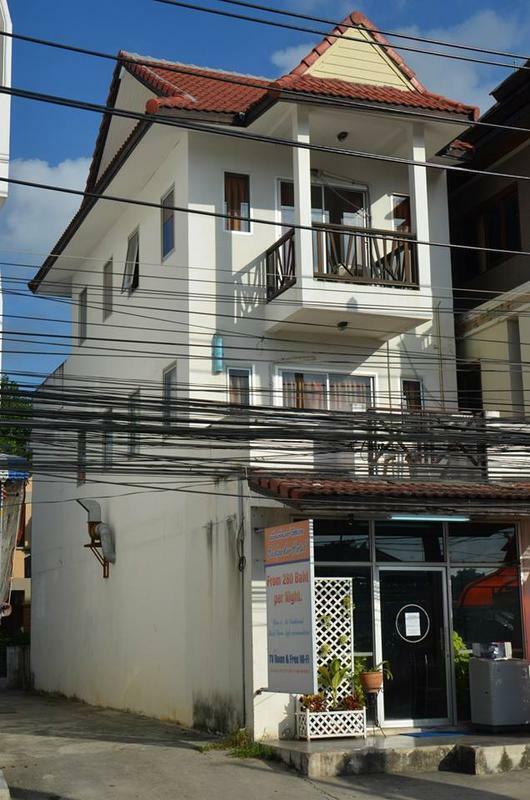 Backpacker Hostel is the best value hostel in Chaweng. Low prices without sacrificing comfort, location, cleanliness and friendliness. Backpacker Hostel prides itself on providing clean & friendly environment where guests can feel at home and relaxed, and meet other friendly travelers from around the world. Our lobby is accessible to guests 24 hours, and has tables and chairs, cable TV, a fridge for guest use, snacks, free tea, coffee, and water, along with dishes & silverware for those wishing to bring food home. Our guests often meet up here, share meals and drinks, or make plans to go explore Samui together. Hosteling is all about the people you meet, so Backpacker Hostel encourages our guests to interact! We are known for going out nightly for dinner, drinks, and dancing/clubbing, with discounts and deals at local venues for our guests! We encourage you to join and be part of the Backpacker Hostel family! TELL TAXI/SHUTTLE DRIVERS TO TAKE YOU TO LHAMDIN PLAZA. IF THEY DON'T KNOW IT, THEN TO PHETCHBUNCHA STADIUM (FAMOUS MUY THAI STADIUM 1 BLOCK FROM PROPERTY). - Turn onto Lhamdin Road (Left coming from Bophut, Right coming from Lamai) by the Cal-Tex gas station, used book store, and gym. - Follow that road about a kilometer. - Backpacker Hostel is just past the curve on the left, opposite the green ATM at Lhamdin Market. - Turn right when the street becomes 2-way (it is one way coming south from airports/ports), by the tourist help, Family Mart and large orange massage shop. - Backpacker Hostel is just ahead on the right, opposite the green ATM at Lhamdin Market.